Nothing gets your taste buds going like the fresh scent of Skagenröra, which for the uninitiated is a classic Swedish shrimp mix that is best served inside an avocado half-shell. What else is an amorphously oval blob, green, and smells fantastic? 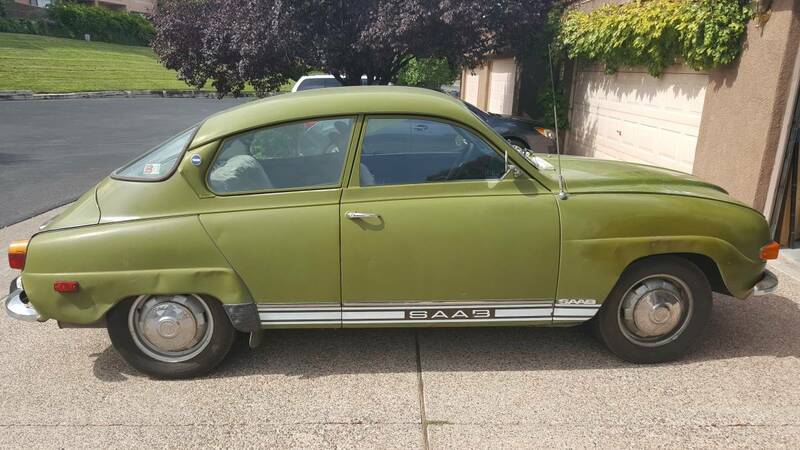 This 1972 Saab 96 V4 offered for $5,500 in Albuquerque, NM via craigslist. Tip from Zach Z. Her name is Olivia and she is a '72 96 with the Ford Taunus borrowed V4 shoved up from and mated precariously to the front wheels. 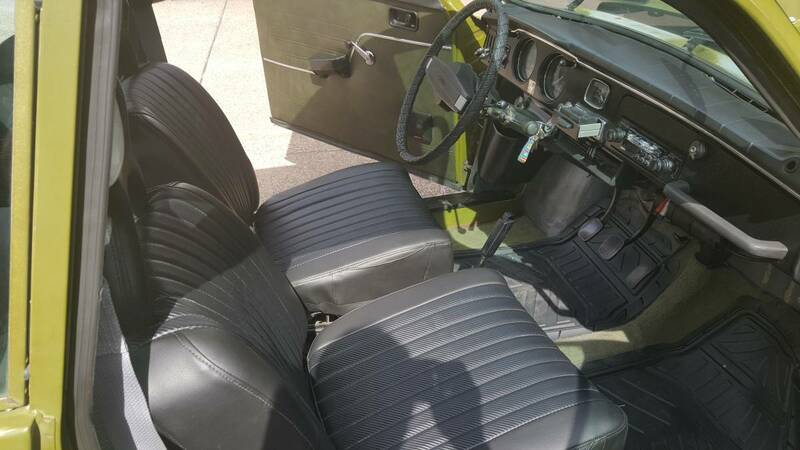 Nobody expects 65 horsepower to be sporty, but everybody expects to have a great time driving around in a scruffy mutt like this. Looking at this car really makes me think of the design process. Someone sketched this over and over, they built a scale model and finally a full sized clay model. It really has some wild lines and very interesting shapes. Fugly color who beat the crap out of it looks like spring bat practice on rear 1/4 too much dough $$$$ for condition.